Today is the Hebrew anniversary (yartzeit) of MY MOM’s death. 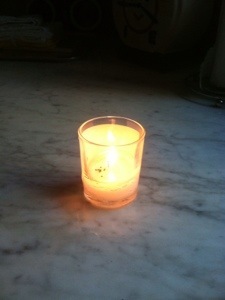 Last night I lit the yartzeit candle and gave thanks to the Holy One for the blessing of MY MOM’s life. Her life was cut short too soon, but gratitude for the time we did have overwhelms me today. Your MOM touched my heart, too. She is truly missed.